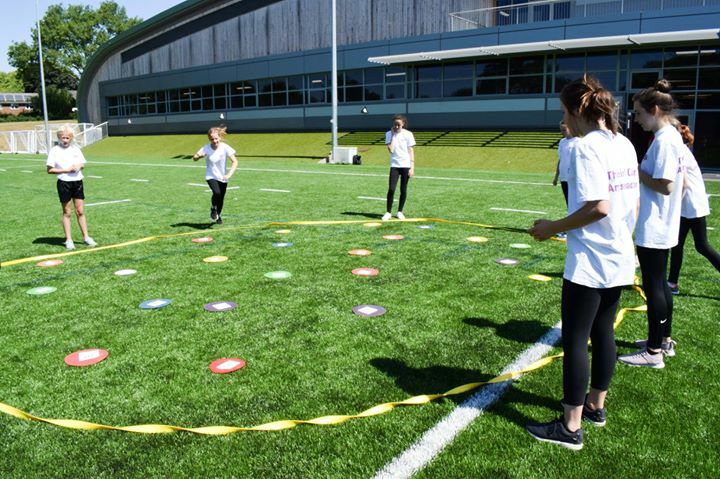 Girls from across Erewash took part in a day at the University of Derby to celebrate their work as part of a national campaign to inspire more females to take up sport. Students from the Long Eaton School, Friesland School, Saint John Houghton CVA, Kirk Hallam Community Academy, Ormiston Ilkeston Enterprise Academy and Wilsthorpe School were invited by Erewash School Sport Partnership to use the state-of-the-art facilities at the University of Derby as part of the This Girl Can initiative. They took part in a football session, teamwork activities, Pilates and a strength and body conditioning workshop. At the start of the day, Mia Lockwood, a student at Wilsthorpe School, in Long Eaton, gave a talk about how the Wilsthorpe students had engaged with the This Girl Can campaign. She said: “At the start of the This Girl Can campaign our teacher said we had to aim to make three improvements but what they were was up to us. We split our group into teams and each one had a different purpose. For example, we had an encouragement team who would be on hand to answer questions in PE lessons and make sure that girls were getting involved. There was also a rewards team giving out prizes and we did try to get boys involved too even though this campaign is aimed at girls as we thought that was important. Rhian Lilley, Erewash School Sport Partnership strategic director, said she was proud of all of the students involved in the campaign. 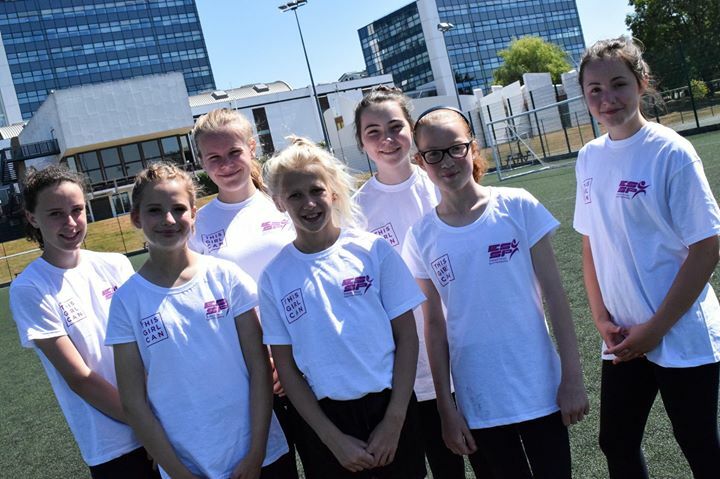 She said: “The girls involved are a massive credit to their schools, they have embraced the This Girl Can Campaign and come up with some great ideas which they have implemented in their own schools and used This Girl Can as a springboard to engage more girls in sport.